YANGON, MYANMAR (ANS — March 14, 2018) — Since Burma achieved independence from the British in 1948, the country now called Myanmar has been embroiled in civil war, as various ethnic groups have waged bitter battles against the military-led government. After the military junta disbanded in 2011, their fragile, emerging democracy has been stung by claims of late that the government is systematically conducting genocide against ethnic minorities in the eastern part of the country near Bangladesh. 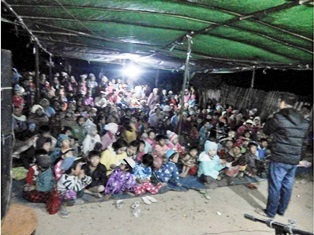 “In the last three years, God has opened the door wide to the gospel in Myanmar. But we don’t know how long it will be open,” says Brother Matthew*, one of the organizers of the conference. Pastor Imo is one of the pastors multiplying the church by going to tribal groups in southern Myanmar that have never heard the name of Jesus. “By the grace of God we went from village to village and many accepted Jesus as their Savior. 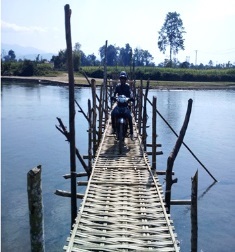 We went to some places not reachable by boat or motorbike. So we went on foot,” he reports. Another miraculous healing happened with a Hindu woman that had suffered with epilepsy for many years. “When we prayed in the name of Jesus she was healed,” he says. “All this happened not because of our might but because of the power of the Holy Spirit,” he adds. Photo captions: 1) Outreach at a small village in Myanmar. 3) Pastor taking the Gospel via motorbike to a remote village. 3) Baptisms near a small village in Myanmar. 4) Mark Ellis. About the writer: Mark Ellis is Senior Correspondent for the ASSIST News Service (www.assistnews.net), and is also the founder of www.GodReports.com, a website that shares testimonies and videos from the church around the world to build interest and involvement in world missions. 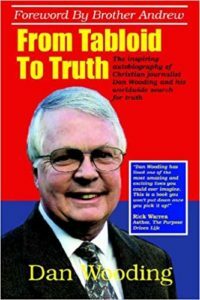 Previously, Mark co-hosted a TV show called “Windows on the World” with ANS Founder, Dan Wooding, aired on the Holy Spirit Broadcasting Network (http://hsbn.tv), which is now co-hosted by Dr. Garry Ansdell, Senior Pastor of Hosanna Christian Fellowship in Bellflower, California.